Three bands, the central band with small quatrefoils linked by diagonal lines, and the two outer ones with stylized plants, each with three pairs of branches and small flower heards. The colour of the pattern alternates between pale blue and pink. A finely rolled hem, whipped with silk thread, is along three sides of the cloth. 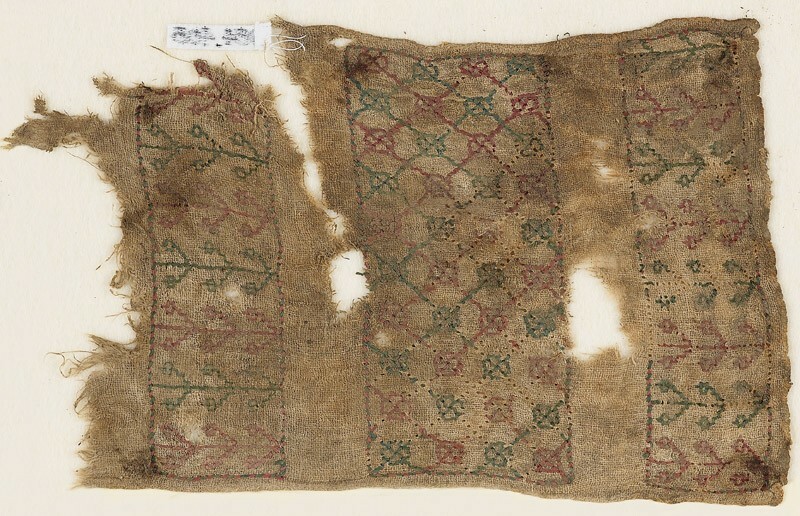 It probably was part of a sash or turban band.